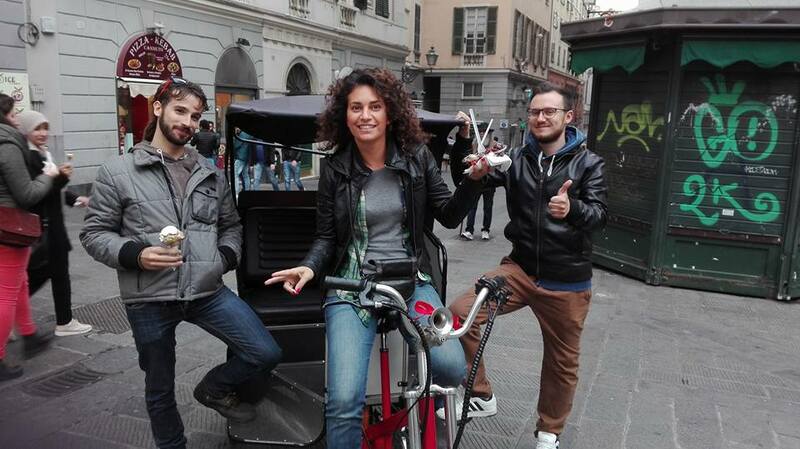 TreeCycle – ecotourism in the vicoli of Genoa is an innovative project in Genova that enables you to visit unusual places of fascinating beauty of the Old Town of Genoa; The historical center is a maze of alleys closed off to motor vehicles and unknown even to most Genoese themselves. TreeCycle is an exclusive service, the number of passenger carried on is no more than three adults or two adults and two kids (under 6) .This feature and the presence of a local driver at your disposal ensures the highest quality of service. Let TreeCycle take you on a journey that compels you to understand and love the city that gave birth to many of the most important Italian artists. The electric vehicles and the driver's explanations will guide you through anecdotes, facts and stories about its buildings and its inhabitants. You will cross atypical streets, far from the tourist traps. TreeCycle, the “Genoese Gondola” offers an exclusive tour accessible to everyone. Tours are in Italian, English, French, German, Spanish and Portuguese.